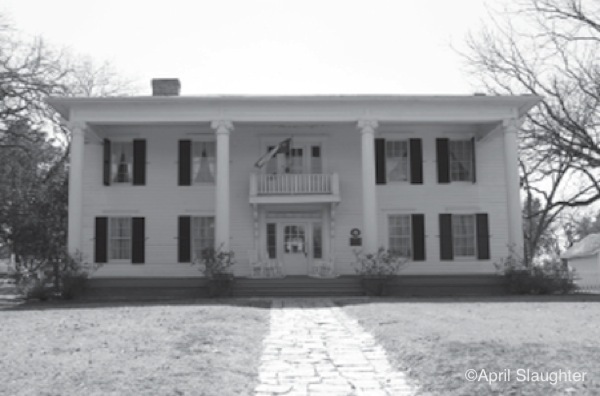 The Miller cabin and Millermore house sit among 25 additional historic structures in the Dallas Heritage Village in Old City Park. 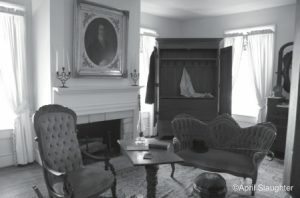 My husband and I cannot resist a good ghost story, and after I had learned about the experiences of others at Millermore, Allen and I were eager to visit. Our attention was immediately drawn to Millermore as soon as it came into view. It’s a majestic and beautiful home located close to the park’s entrance. 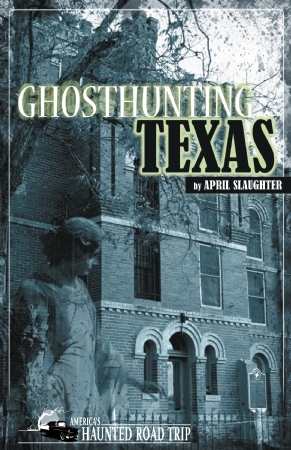 For as long as Millermore has been in the Dallas Heritage Village, there have been stories of apparitions moving about in almost every area of the house. The odd movement of inexplicable lights on the top floor has also often been reported. Several paranormal teams have conducted investigations at Millermore in hopes of capturing the various phenomena, and many believe the ghosts of several children may be playing on the property. EVP recordings captured children’s laughter when no children were in or near the home. Many paranormal investigative teams have been allowed onto the property to see if they could capture anything anomalous on film, but the Village and its staff never participate in the investigations. They believe it is important not to sway their visitors one way or another. I was particularly intrigued when we reached the upstairs level and stood in the large open breezeway running through the center of the house. There are several shadowbox frames showcasing intricately woven human hairpieces hanging on the wall, collected by a family in the Dallas Metroplex. While not historically tied to the house itself, they are beautiful yet eerie, ornate artifacts that made me uneasy. I wasn’t sure what they were at first glance, and upon closer inspection I realized that I had never seen anything like them before. As I stood there staring at the unusual pieces, I felt the distinct sensation of someone brushing my hair away from the back of my neck. Allen hadn’t been near me, as he was busy wandering around the bedrooms taking pictures, and the remainder of the group had already moved on down the hallway. I stood there doing my best to keep still, hoping the experience would repeat itself, but it didn’t. My initial uneasy feeling soon melted away. The tour guide gathered our group in the hallway where she pointed out a small day bed situated just below a window at the rear of the house. She explained that it was a piece originally owned by William Miller and that he often enjoyed an afternoon nap there, cooled by the breezes that flowed through. When we had first ascended the staircase, the quilt lay neatly atop the bed, as though the bed had just been made. After spending approximately 20 minutes upstairs, we all made our way back to the staircase and past the day bed. I noticed that in the middle of the bed, a slight yet noticeable impression had been made in the quilt as if someone had been sitting on it. I made no mention of it at the time, hoping someone else would point it out and validate my thoughts. But no one else seemed to notice, and we all shuffled back down the stairs to the main floor. to notice that they were there. While I didn’t have the opportunity to speak to the other visitors individually, I had the sense that they, too, felt a spiritual presence in the house. They walked through the home with quiet reverence and continually looked backward as if they were expecting to see a spirit from the past walking along behind them. As we descended the steps of the front porch, I turned around to take another look at the house. I wondered who had touched my hair and if that person had been the same individual who sat on the day bed. I felt a reverence for the history of the house, for the work that went into both building and preserving it, and for the family that may still call it home.